Sold out Super Nintendo Classic Mini consoles resurface with inflated price on Ebay. WAIT, DIDN’T NINTENDO LEARN THEIR LESSON ALREADY? 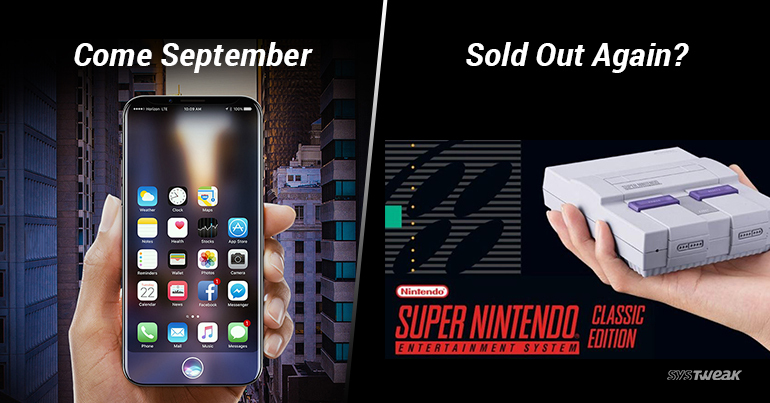 Nintendo’s plan to relaunch miniaturized classic gaming consoles sure sounded like a great idea, but they surely need to rework on their marketing. Just like how the 8-bit NES Classic Edition was prematurely sold out last year, their newest 16-bit SNES Classic Edition also suffered from the same fate. As the mini 16-bit console went on pre-order, online retailers quickly jumped the gun causing it to sell out in less than 30 mins. This definitely upset a massive number of fans who wanted to get their hands on the console before anyone else. Sadly and unsurprisingly, the sold out units were then put up on eBay for prices as high as USD 300. Although there are other stores that would also announce pre-orders for SNES Classic Mini Edition, we know for sure what’s gonna happen. WHAT HAPPENED TO NINTENDO’S PROMISE? This surely puts Nintendo in a bad position as they promised earlier about providing sufficient stocks for the 16-bit console. Moreover, they also put back the 8-bit NES Classic back on sale for fans who weren’t able to get one last year. Therefore this deja vu certainly comes at a bad time for Nintendo, as they were recently regaining their popularity over competitors like Sony and Microsoft. Interestingly, SNES Classic pre orders haven’t really been a smooth ride for Nintendo as seen with the botched Walmart pre-order listings last month. According to a recent tweet by Nintendo, “We’ll have more available on launch day, in store, for walk-ins.” This definitely sounds like good news for upset fans, as they still have a chance to pick this up. While official launch dates still haven’t been announced by the company, we can only wait till the Classic 16-bit console makes its in-store debut. After rumors about a late November release and hardware supply issues, Apple seems prepared for previously scheduled launch date in September 2017. IS THE LAUNCH DATE FINALLY CONFIRMED? Despite some hiccups, Apple seems to be on-schedule for their 10th anniversary iPhone 8. This was revealed by an anonymous European telecom carrier, making it less than a month before we see iPhone 8’s launch. There are contradictory reports of it not being actually available before the 4th quarter, but since the information has come from a reliable source, it might actually be true. WHAT IS THE REASON FOR THIS DELAY? Apple’s highly anticipated iPhone 8 has been sort of a tough nut for both company and fans. While the launch should’ve been smooth, integration of new features has proved to be a problem. Speculations about an on-screen fingerprint scanner, revealed a bucketload of hardware supply issues. This led a lot of experts to believe that Apple might postpone this release to the end of this year. SO WHAT IS THE RUMORED LAUNCH DATE? If the information turns out to be right, then we might see iPhone 8 on the 12th of September. Also, there are claims that the smartphone will be available with 512GB storage capacity and include 3d facial recognition system. Wireless charging still seems to be a long shot and might be sold with a separate peripheral, post-launch.